Other than the platforms (PC, PlayStation 4, Xbox One) and slated release date of 2017, there's not too much else to go on here. As many sites have noted, the publisher has been changed from EA to Gearbox, but it's hard to tell what that might mean for the game. They Borderlands developer may be responsible for putting some polish on the title and ensuring that it works with modern consoles, or they could just be taking over for EA because they have the bandwidth to do so. Regardless, it'd be nice for Microsoft, People Can Fly, or Gearbox to just come out and say something at this point. The title really can't be considered a "secret" at this point, so getting out there to confirm and get the hype train rolling would be better than just ignoring it. 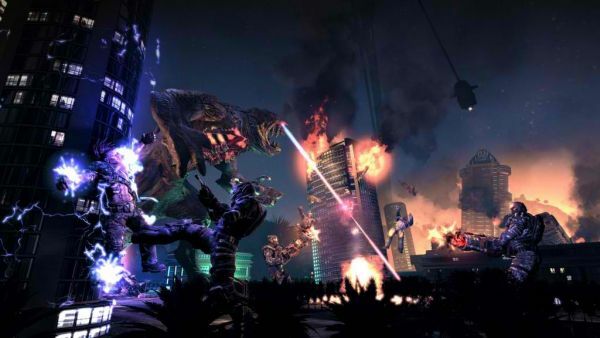 The original Bulletstorm supported four player online co-op in the Anarchy mode, where players work together to survive waves of enemies and try to achieve a certain score. Until we hear more, we're assuming the remastered version will include the same mode. Bulletstorm PC Demo "in the Works"